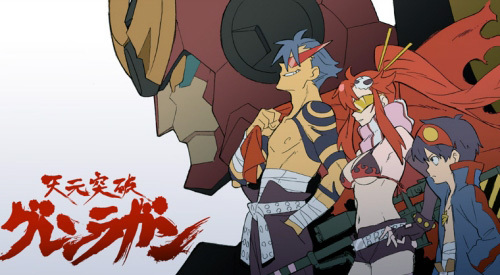 Known in Japan by it's full title: "Tengen Toppa Gurren Lagann". I have to admitt at the time before first watching this I was getting pretty bored of anime, until this series was recommended to me by someone. This anime has almost as many powerups as your average R-type craft. It does get a bit weird near the end but I still thought that it was still well made. Especially how it highlights the good and bad aspects of human society. I couldn't help but laugh at the episode wehere they changed the animation style. 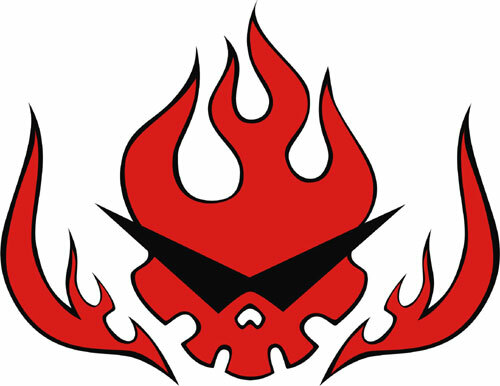 Apparently the makers received death threats in Japan, if they didn't change it back.